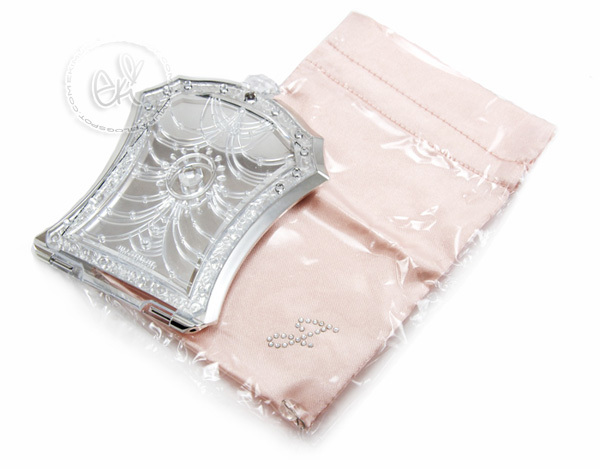 First I got Jill Stuart compact mirror from cosme-de.com, it folds over to make it a stand up mirror :D it is made out of plastic but its so pretty comes with pink satin pouch to carry this mirror around♥ super kawaii! 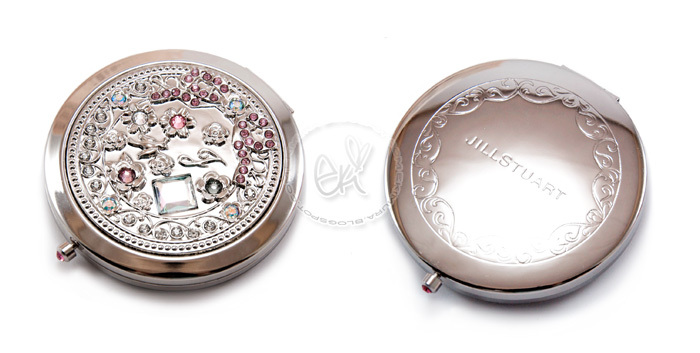 Next I got Jill Stuart Limited Edition 5th Anniversary Vintage Jewel mirror! 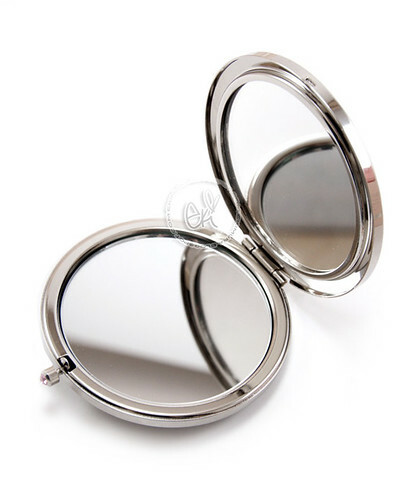 I Love collecting beautiful compact mirrors and this mirror is absolutely gorgeous! 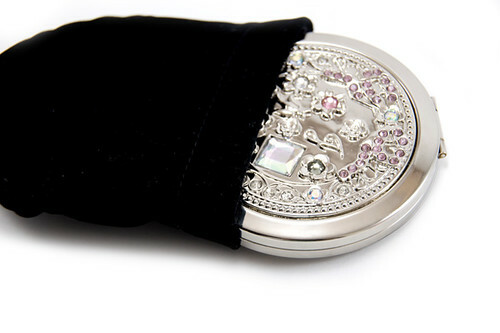 Jill Stuart Jewel Collection Vintage Jewel Compact Mirror is adorned with a ribbon and floral arabesque motif for a wonderfully vintage feel. 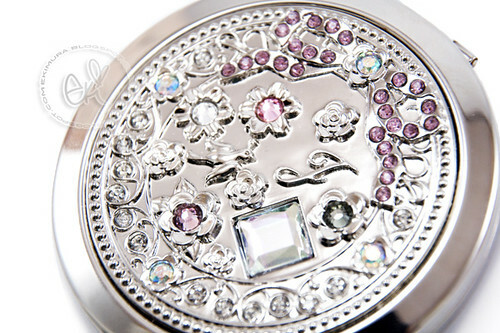 It is really a sweetly shining compact mirror for girls that dream of happiness by featuring fifty glittering rhinestones, both large and small, and a bluebird flying towards a large ribbon, towards happiness. 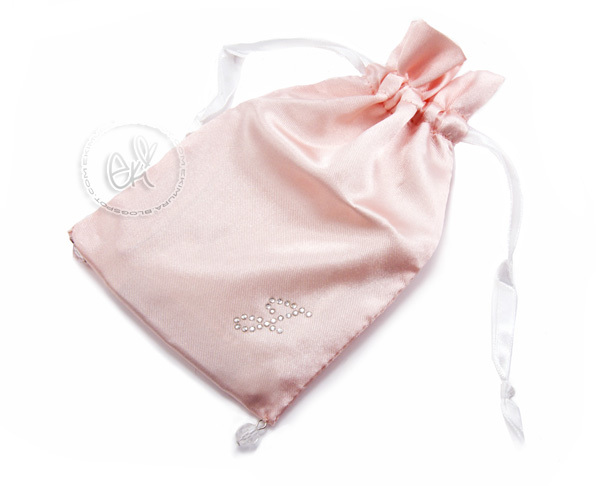 A luxuriously warm feeling for girls who hold it in hand. 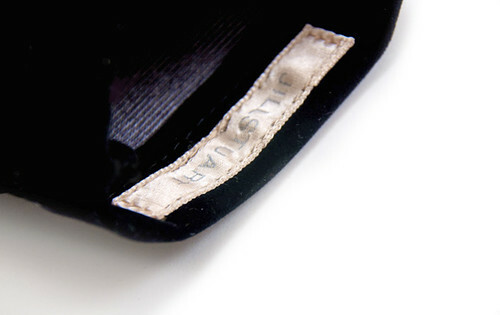 and what make this heels so pretty is that the bottom of the heel is in PINK! XD so happy with this purchase! 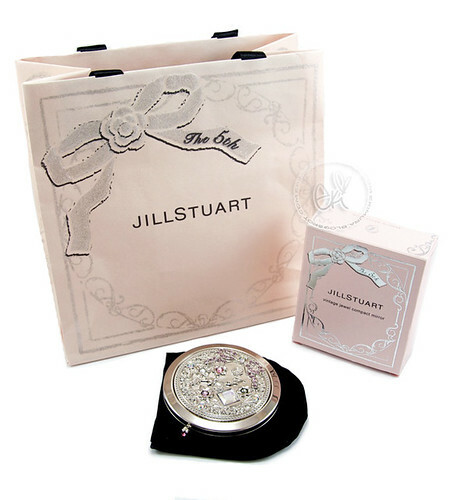 Jill Stuart items are definitely high quality items! well I will have more reviews in the next post! they are all really pretty! even the pouches! Wow Eki, those are super Kawaii stuff u got, I love mirrors so much and those collections are really great^^I also love ur heels,Happy New Year 2010 to u too..best luck to u all over 2010..
Great haul Eki! The JS stuff is always so cute! They really know how to package stuff up so pretty! And the pumps are too sweet! Love the embroidery on them! This stuff are made for you! 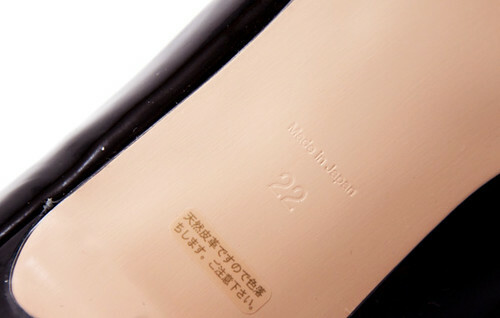 Cute items, this shoes are really nice! Hope you could buy more JS items soon! ahh so you have small feet too! i am also a size 5US girl who can't find shows to wear. do you have any recommendations for sites or stores that carry 5's? Your pictures are beautiful, I am never a fan of JS but I enjoy all of the pictures you took. Oh no! Those mirrors r so dreamy! Beautiful haul! 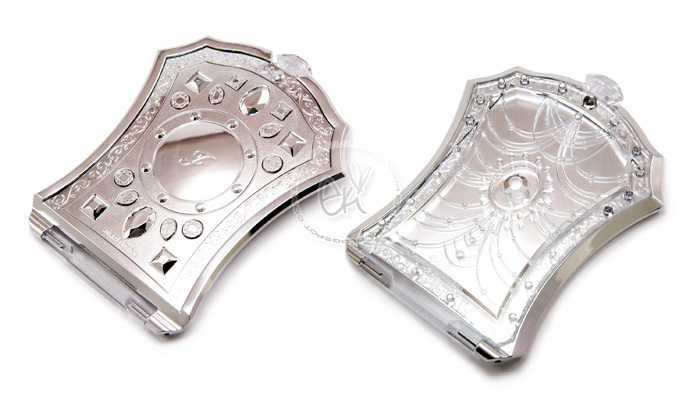 And that mirror is gorgeous. waaaa~~ Everything is so cute and pretty! :) Happy New Year! 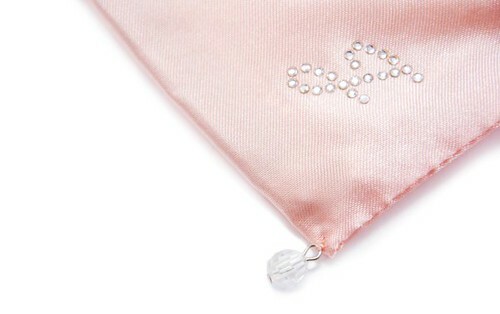 Oh you lucky girl, these items are so pretty! Those shoes look so adorable. I need to get a pretty compact, although if I had a nice one like that I'd just be looking for excuses to check myself out all the time haha! oh good, you got the heels! did the seller work things out with you then? Ooooh Eki I can't tell you how jealous I am of your vintage JS mirror and new pumps! So cute and decadent! Wowwwww, how absolutely gorgeous!!! 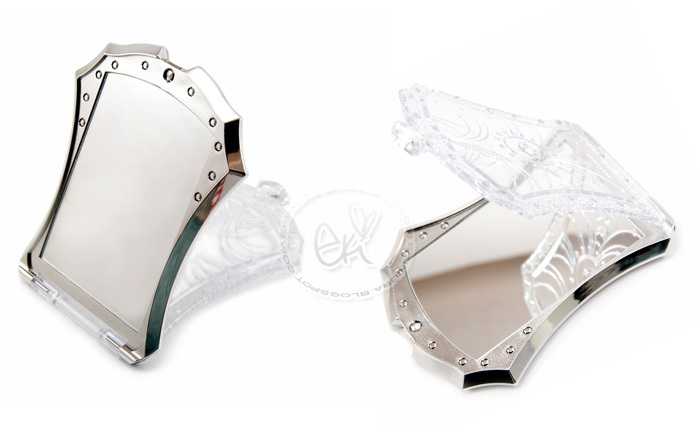 Love the second mirror especially - I've been eyeing that one forever! Of course your first haul of the year would be Jill Stuart. I absolutely adore everything JS too. Her kawaii items really do make you feel like a princess. So adorable!! I wish I had js items. The shoes are really cute! Those pumps are flippin' fantastic!! Gosh everything is so pretty. 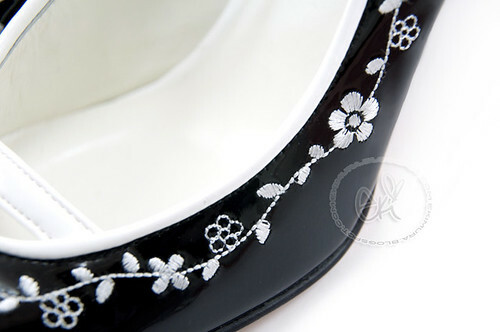 Love the embellishments on them! WOW! everything is soooo you <3 gorgeous!